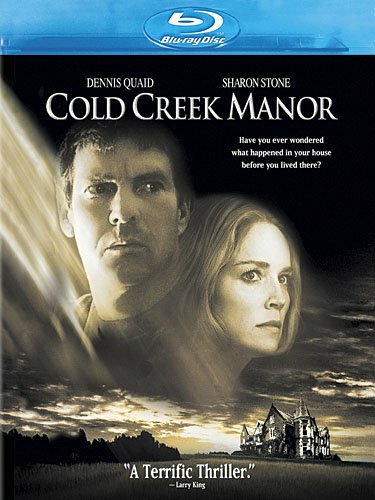 Experience all the heart-pounding thrills of Cold Creek Manor like never before on Blu-ray, featuring new digital restoration with enhanced picture and sound. Dennis Quaid, Golden Globe(R) winner Sharon Stone (Best Actress in a Motion Picture, 1996, Casino) and Kristen Stewart star in a gripping mystery bound to keep you on the edge of your seat. Wanting to escape the city life, Cooper Tilson and his wife Leah move their family to the remote countryside of New York. But their broken-down dream house becomes a living nightmare when the previous owner shows up and they discover the frightening secrets of the estate's dark and terrifying past.